Everything you wanted to know about Intelligent Mail for your credit union—and need to ask! We all know that webinars, podcasts and videos can be an excellent way to get the information you need to increase your knowledge base on a topic. When the topic is about Intelligent Mail, having access to materials that educate, answer questions and guide you down a solid path is extremely valuable. Implementing the facets of Intelligent Mail can be confusing, but if you mail in volume, highly profitable. So even though the actual date of mandating the use of the Intelligent Mail barcode (IMb) is still not known, it would be smart to have an understanding of the scope of Full-Service Intelligent Mail® —or better yet, have things already in motion. The United States Postal Service offers a plethora of educational resources on Intelligent Mail and encourages business mailers to migrate to the use of Full-Service Intelligent Mail when mailing First-Class Mail® postcards, letters and flats, Standard Mail® letters and flats, Periodicals letters and flats and bound printed matter flats. The beauty of Intelligent Mail barcodes is that they are information-rich. For example, the POSTNET barcode only includes delivery point routing information. 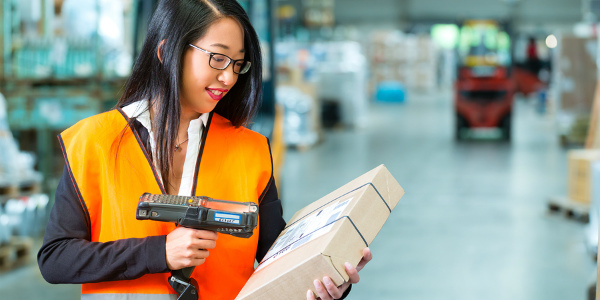 In contrast, the Intelligent Mail barcode holds significantly more data, feeding back information about the mail piece, making it possible to use the mail in a much smarter, more efficient manner. To answer questions you may have on the topic, a series of four webinars are available to assist mailers in transitioning to Full-Service Intelligent Mail. The webinars are designed to walk you through the process and help you get the most out of using Full-Service Intelligent Mail. And if you have even more questions, the USPS most likely has the answers. Check out the frequently asked questions and answers (FAQs) available on both RIBBS under Intelligent Mail Services and PostalOne! as well as videos and DVDs that focus on Intelligent Mail barcode implementation specifically. All of these educational materials mentioned—and a host of other resources—can be found on RIBBS – Intelligent Mail Services and PostalOne! Even though the actual date to implement Full-Service IMb in order to get the best automated discounts has been pushed off, your best bet is to push on, stay on track and get Full-Service IMb in place. You can’t lose. Implementing IMb does demand a little more forethought and planning for optimal utilization. However, it makes mailing procedures quicker and more efficient for every business seeking to achieve the best possible rates. The Full-Service Intelligent mail system not only helps the USPS streamline its own operations, it also delivers significant benefits by providing more accurate and detailed information for improved efficiency and accountability when it comes to your business mail. It is simply a win-win for everyone. Are full color statements in your credit union’s future?